This hybrid stands out in terms of both yield and flavour, now definitely one of the plus points of this variety. It tends to stretch out although it won’t grow to a great height. Outdoors the plant is unlikely to grow over 1.80 meters, but you should use a support system to prevent the large central bud and the heavy side branches from bending too much. 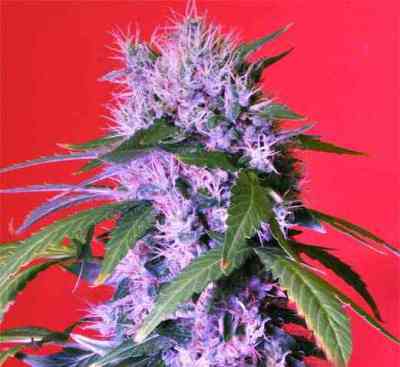 Among its popular genetics we can find Bubblegum and Chronic, strains with deep sweet and earthy aromas during flowering periods. This is a very easy-to-grow plant, since the variety is very robust and highly resistant to pests. Indoors, excellent results are obtained growing in five-litre pots, with coconut and a drain-to-waste drip watering system. The plants should grow no taller than 60-70 cm for an abundant yield. The flowering cycle ends after 58-61 days. Outdoors, you should be ready to cut it by the end of September, so avoiding the first rains of autumn.